Artemis said: "I was going through your amazingly helpful site on bookstores around Europe and reading the section on Athens I thought that maybe you would find our store to be of interest to your readers. 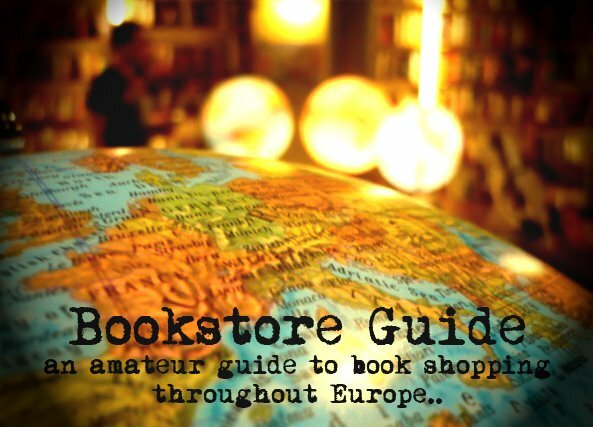 We are a bookshop specialised in travel guides and maps of Greece as well as of all international destinations. We have a great variety of editions in Greek, English, French, German, Spanish from companies such as Lonely Planet, Rough Guides, DK, Insight, Michelin, Hachette, Baedeker, Jana Seta, Cicerone, Hallwag, Marco Polo and many others." Although Greece has been hitting the headlines for completely different reasons in the recent past, the current crisis is just a small dark spot in the history of a country which is the cradle of European civilization. Travel Bookstore (or formerly known as Road Travel Bookstore) has been on the Greek bookstore scene for the past 12 years or so, having been established in 2000. It is also a part of a publishing house that has been in business since 2001. During this period, the bookstore has developed and grown into an establishment well-known and respected throughout the country. In 2011, they have expanded by opening another Travel Bookstore in eastern Attica. Travel Bookstore holds books in Greek and English, and not only maps and travel guides but also a huge range of travel literature as well as travel DVDs and various accessories and gadgets. It's been praised for its very much affordable prices, friendly atmosphere and, if you shop via their online store, you get an additional 10% discount!